Tony Iommi, the legendary Black Sabbath guitarist, will release his new album Fused on July 12, 2005, via Sanctuary Records. 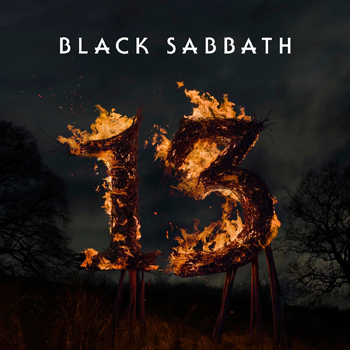 This will be Iommi’s third solo album. 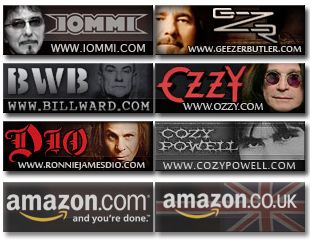 Joining Iommi on Fused is former Deep Purple vocalist/bass guitarist Glenn Hughes and former John Mellencamp drummer Kenny Aronoff, who has also played sessions with the likes of the Rolling Stones, Bob Dylan, Rod Stewart, Alice Cooper, Bob Seger, Lynyrd Skynyrd and countless others. The trio will hit the road to promote Fused later this year after Black Sabbath finishes headlining the 10th anniversary Ozzfest tour. Iommi and Hughes tend to write quickly when they settle in. Once the basic song ideas were written for this new album, Hughes worked on overall melodies and lyrics. The songs were in place, but a drummer was needed to tie it all together. Iommi was eager to work with Aronoff again and had him in mind from the beginning. The highly respected skins-basher was thrilled about the invitation, especially when Iommi said he wanted to tour to promote Fused. Iommi’s lethal guitar crunch leads the charge. Hughes truly pushes himself to the edge and adjusts his voice to fit the overall direction of each song while simultaneously propelling the rhythm with his pounding bass guitar. The volcanic thunder Aronoff unleashes from his drums sounds like nothing he has done before. Marlette’s sparkling, crisp production results in a hard-hitting, modern, in-your-face sound. “Bob is a fantastic producer. He also played a few keyboard parts on this album because he wanted to get his hands in there!” laughs Iommi. Marlette’s major role as the producer was to provide that extra, objective pair of ears and determine when a song was finished. He also judged Iommi’s solos and usually found what he looking for after four or five takes. However, Iommi often wanted to lay down more solos with the purpose of topping himself with each pass. Iommi’s excitement about Fused is at a fever pitch and he cannot wait to tour with Hughes and Aronoff. “In addition to playing material from this album, we’ll probably do a couple of tracks from The 1996 DEP Sessions and a few Sabbath songs too,” he says.